Cable companies can improve customer service and reduce costs using GoFleet’s fleet management GPS. GoFleet improves cable company fleets efficiency to ensure all response times are met. 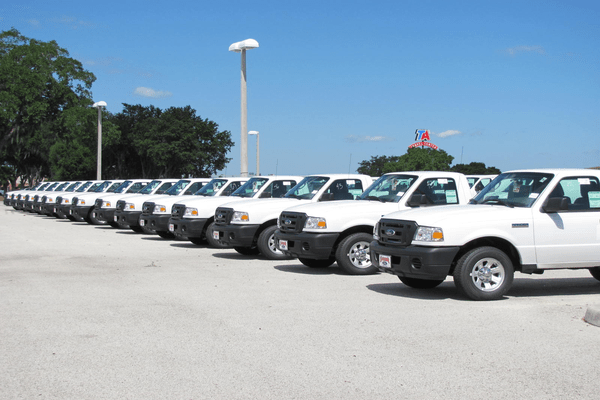 The fleet management GPS software helps fleet managers maximize productivity and increase efficiency while decreasing operating costs and technicians’ overtime. Cable companies must find a balance between providing high quality customer service and maintaining their fleet’s operational expenses. With GoFleet’s fleet management GPS, you are able to achieve both. Our industry-leading cable company GPS system provides many valuable tools for tracking vehicles, analysis and management reporting. This will enable your fleet to enhance customer service, lower costs, improve driver safety, maximize fleet efficiency and reduce greenhouse emissions. GoFleet’s fleet management software is a comprehensive fleet management solution that automates tracking your fleet of cable vehicles with fleet intelligence. Our fleet management software meets the needs of all cable companies regardless of your workload or schedule. It can scale even the most complex cable company, no matter the weight, route or size of the fleet. When a cable company implements GoFleet’s fleet management GPS, they usually see cost savings immediately. Fuel consumption can be reduced up to 30%. Overtime is often reduced by approximately 15%. Driver productivity can be increased by approximately 12% and unauthorized vehicle can be reduced by approximately 12%. These savings can add up significantly. The GoFleet fleet management GPS system can eliminate inefficient practices that are negatively affecting your maintenance and operating costs. The fleet management GPS system will improve your customer service. You will be able to give your customers actual time of arrivals and short service windows. If a customer calls you because a driver is late, you can let the customer know exactly where the driver is and exactly when the driver will arrive. Your customers will not be stuck at their location waiting for service all day. For more information about how GoFleet’s fleet management GPS system can improve your customer service and reduce operation expenses, Contact Us.